In the mid 1990s, the Canadian Forces' image was updated by the Canadian Government to fall into line with the “Federal Identity Program” used by all other Government Departments. This is sometimes derisively called the “Post Office” marking scheme, since the Post Office is where most Canadians see this style of Government identity most frequently. In 1/48, this decal comes printed on two sheets. The printing is very crisp and in register. The sheet covers all CF-18 squadrons plus the “Balkan Rats” detachment markings used during the Balkans War of the 1990s and Operation Mobile during the 2011 Libyan crisis. 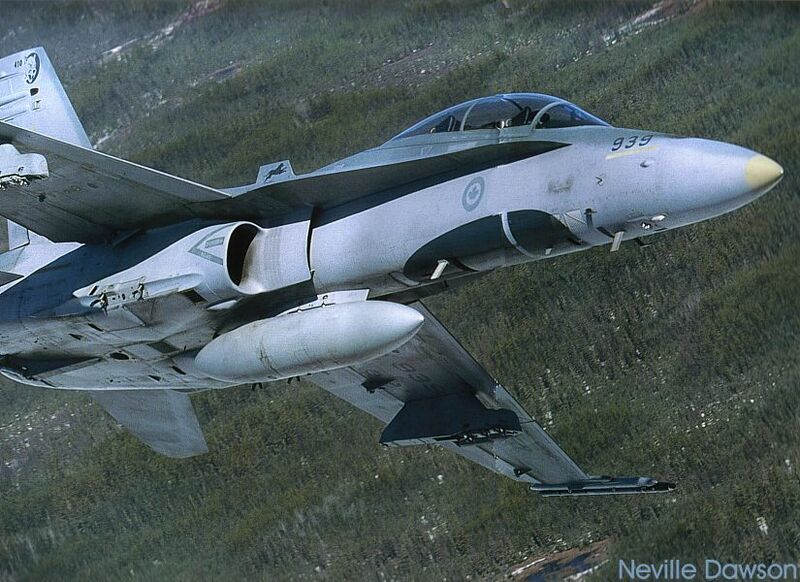 The instructions are adequate to do the various aircraft illustrated, but any of Canada's F-18s may be modelled provided you have accurate references to hand. This sheet contains contains the roundels, flags, squadron markings, stencils and Balkans mission markings for several different aircraft. This sheet is also available in 1/72 and 1/32 scales. 3 of 441's F-18s tucked in close together in the sunshine above the clouds. 188939 of 410 Squadron in a typical pose flying over the Boreal forest near Cold Lake. 188776 with “Balkan Rats” tail markings and bomb mission markings below the cockpit. Highs: Crisp printing, very accurate, good choices. Verdict: The modern RCAF fan will love this.